My life soundtrack | Where's Zoe now? I was thinking about music the other day, and how strongly it’s tied to memory for me. So I thought it would be fun to scroll through my music collection and pick out some tracks with strong associations. None of these associations make any sense, but I can listen to any of these songs and be taken to exactly the same place every time. Why yes, I was that teenager who listened to the Cure incessantly. I also wore a lot of black. This song, and the entire Disintegration album, takes me back to family holidays in the South West of Australia. It’s a good 5 hour drive from Perth to Albany, and as a teenager my trusty Discman was my first line of defence against having to listen to the cricket the entire way. So this song is the dry summer sheep paddocks finally giving way to greenery and cooler weather as we’d approach the south coast. It’s cool drizzly mornings in the middle of summer. 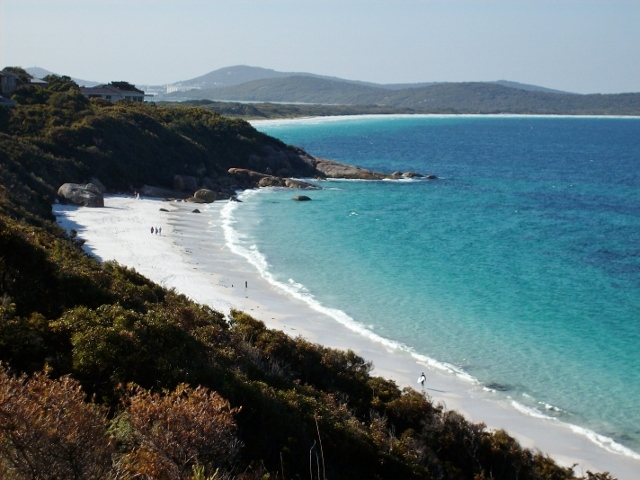 It’s long walks along some of the most beautiful coastline in the world. I spent several months in Florence during my PhD. Or more accurately, Sesto Fiorentino, about 10 km to the north of Florence. At the time, an Australian friend was living in Venice, and we’d often spend Saturdays in towns in Emilia Romagna, the region in between. Have One On Me, by Joanna Newsom, had just come out, and the album was almost exactly the same length as the train trip from Bologna to Sesto Fiorentino. Kingfisher is what would be playing on my mp3 player as the train pulled in to my station, and then I’d listen to the final track Does Not Suffice on my walk home. So this song is Italian Spring nights, and slow trains. Musical associations make no sense, because this song reminds me of sunny winter mornings in Glasgow. It’s the opening track on Grand National, an album I listened to on heavy rotation as I finished writing my thesis. I’m sure almost every time I listened to it, the sky was grey, but somehow I remember only the clear days, which in my memory have stretched out to long days even though the number of daylight hours in Glasgow in January is just under 8. But the strongest association that remains is that when I hear this song, I have to drop everything and write. This song is great fun to listen to, but for me it stands for the only time I’ve ever been upgraded to business class on a flight. 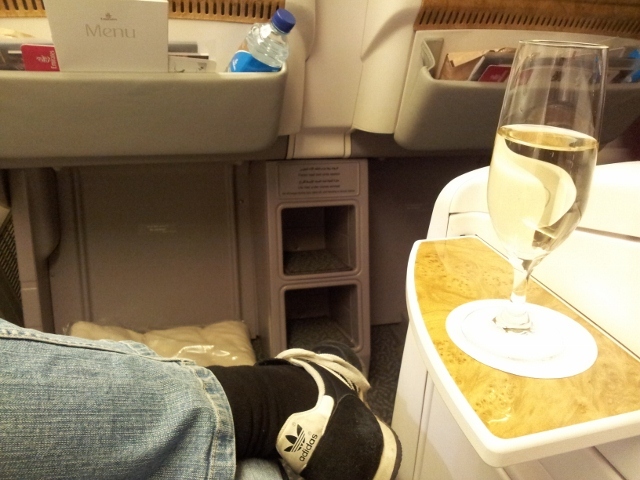 It was the best Dubai-Milan leg I’ve ever flown. The Janelle Monae album The Electric Lady was one of the audio options on the entertainment system. Did you know that in business class they give you headphones that are good enough that you can actually hear the music over the noise of the plane? Also, they give you champagne. This entry was posted in Uncategorized and tagged memory, music, songs on October 4, 2015 by Where's Zoe Now?. I love how music memories work. You are instantly transported back to that time! Great songs!